Our first stop in Costa Rica was the Talamanca Range south of San Jose for a little cloud forest birding with a good friend. We set up a base camp at Mirador de Quetzales at Km 70 along Hwy 2. Mirador de Quetzales and Paraíso del Quetzal are a well-known birding destinations and are great places to find cloud forest and high-elevation specialties such as Sooty Thrush, Black-and-Yellow Silky Flycatcher, Black-capped Flycatcher, Volcano Hummingbird, Resplendent Quetzal, Dusky Nightjar, and more. The birding along the trails at Mirador de Quetzales was nothing other than spectacular! 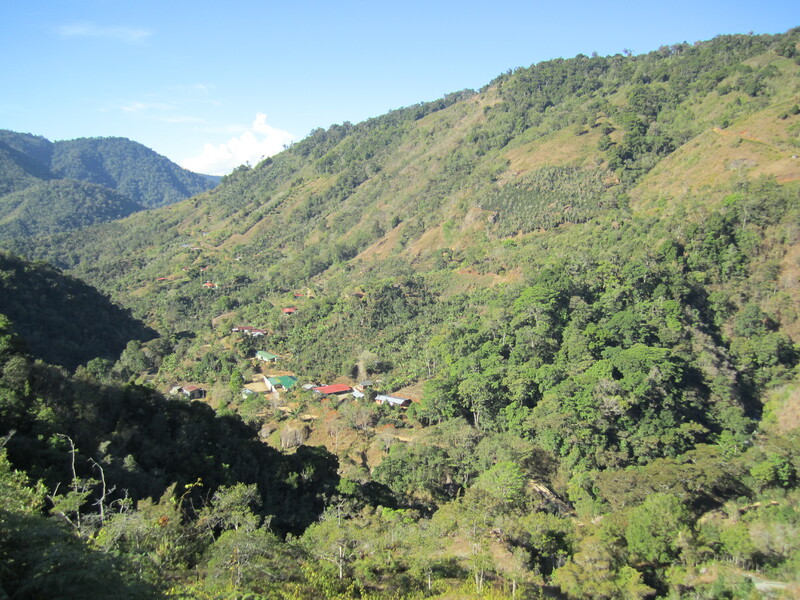 We headed out on the Robledal trail early in the morning and quickly added Sooty Thrush, Yellow-thighed Finch, Large-footed Finch, Black-and-Yellow Silky-flycatcher, Volcano Hummingbird, and Black-capped Flycatcher before even hitting the main trail. Along the trail we came across Silvery-fronted Tapaculo, Ruddy Treerunner, Wrenthrush, Yellow-winged Vireo, Golden-browed Chlorophonia, Spangle-cheeked Tanager, Resplendent Quetzal, Ochraceous Pewee, Ochraceous Wren, Flame-throated Warbler, Collared Redstart, and more (eBird list). In total we saw 45 species in a casual morning, not a massive number but good for 2800 meters elevation! The trails here are amazing and while most visitors stay and bird the trails at Paraíso del Quetzal the accommodations at Mirador de Quetzales were more affordable (although more rustic) and they had more space for us to camp. As well, Dusky Nightjar is downright abundant on the grounds of the Mirador de Quetzales and we were able to observe one perched and hunting beneath one of the lights. The next day the clouds and mist came streaming in and the winds whipped through the forest and we had little hope of getting out for birding. Despite the weather we decided to take the road that leads to San Gerardo de Dota in hopes that the weather would improve if we dropped a little bit in elevation. The rain started to abate as we headed downhill, but the winds did not, making for some challenging birding. The wind roared all day long, but we managed to have a pretty decent day of birding adding Black-thighed Grosbeak, Slaty Flowerpiercer, Torrent Tyrannulet, White-throated Mountain-Gem, Black-cheeked Warbler, and Swallow-tailed Kite to our list (eBird list 1 and 2). 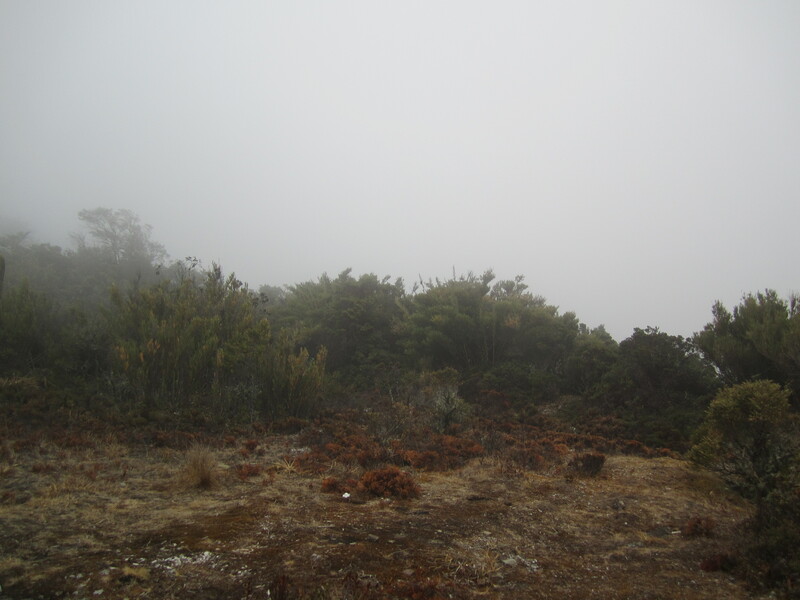 As we headed back up the hill the weather still had not improved but we thought “what the heck we are here lets go see if we can find the Volcano Junco and Timberline Wren.” At the top of Cerro Asunción the wind was howling and visibility was pretty poor. Undeterred, we headed out anyways and luckily found a little path that lead through some wind-stunted trees which blocked the wind nicely but bird activity was nil. A short way down the trail we managed to draw out three Timberline Wrens and as we headed back to the truck to make some hot chocolates we heard a little tinkling on the ground and got fleeting looks at two Volcano Juncos. We celebrated with hot chocolates and decided to try our luck with a spot for Peg-billed Finch that we heard about along the road to the communication towers on Hwy 70 (09.60417, -83.76723). Just a few hundred meters up the road we saw a bunch of seeding bamboo roadside and hopped out despite the wind and rain. We heard the buzzy little song and soon spotted a female Peg-billed Finch through fog and mist in the thick bamboo along the road. Not a bad day of birding even with the wind and rain! Diversity of species and number of birds was super low but we found the three timberline birds we were looking for! The staff at Paraíso del Quetzal told us that birding along the road to Providencia was great and that it was a good spot to look for Spotted Wood-Quail and the Rough-legged Tyrannulet so we decided to give it a try. The birding along the road was indeed fantastic indeed and we logged 67 species. We heard both the Spotted Wood-Quail and the Rough-legged Tyrannulet but we never managed to see them, but we did see Silvery-throated Jay, Resplendent Quetzal, Barred Becard, Yellow-bellied Siskin, Streak-breasted Tree-Hunter, Lineated Foliage-Gleaner, Sulphur-winged Parakeet, and American Dipper (eBird list). If you are birding in the area, don’t miss the Providencia Road, it’s well worth a day of birding. Just below the town of Providencia is a smaller town called Baja la Piedra, not too hard to find if you ask directions, which has a wonderful place to stay at the house of Ana y Enrique. Ana y Enrique are super kind and gracious hosts and Ana is a great cook! There is the option to camp or to stay in a room or cabin. There are also a couple of hummingbird feeders at their house as well as some great flowering trees. We had ten species of hummingbirds around their yard and in the flowering trees (Magenta-throated Woodstar, Green Violetear, Snowy-bellied Hummingbird, Magnificent Hummingbird, Stripe-tailed Hummingbird, Violet Sabrewing, Rufous-tailed Hummingbird, Steely-vented Hummingbird, Long-billed Starthroat, and Scintillant Hummingbird). We also heard Spotted Wood-Quail calling from the nearby forest patch but weren’t able to lure them out or get into the forest to see them. Leaving Providencia we birded along the road to Copey, but we found the birding to be a little less interesting as much of the area is cut-over. The birding is better along the road to Providencia and there is very little traffic so it makes for a pleasant day. Diversity and species are low. Is there any particular reason you have found? It has become a sad issue for the birdir that the species have been being extinct. May be for reduction of habitat or for the man made pollution! 😦 Anyways it must have been a great experience! Loved the Fiery-throated Hummingbird! Diversity was low mainly due to elevation. At 2800 m elevation diversity is lower relative to lowlands sites.